If no wave/s over the minimum size (as defined below) is/are successfully ridden during the Awards’ entry period, the prize/s will not be awarded for that season. The Awards season will begin July, 2017, and end on June 30th, 2018. Only waves bigger than 8ft on the face will be considered for entry. The basic criteria for a successful ride that can be entered for an Award – is simple: Regardless of how the wave is caught, the rider must successfully complete the initial drop, beating the lip or foam ball from the top to the base of the wave under no power other than that of gravity and the wave’s motion. This is a minimum criteria. Any further surfer positioning, performance, or other riding success will be accounted for in the final judging (see below). If you wish to make an entry in the Awards, you must be a member of the ABA ($50 – forms available on the ABA Tour website) and complete an official event registration form ($100, also on ABA Tour website) and have that registration accepted by the Awards co-ordinator. Acceptance may require a range of background checks on a surfer’s claims of experience and safety record in large waves, including equipment knowledge, rescue and resuscitation skills, and any prior competitive experience in big-wave surfing contests. You should be 18 years of age and over at the time your entry is recorded, and should possess the ability to ride surf in the Awards range skilfully and without endangering yourself or others. Official registration forms are available online at the Awards website. Registration cannot be made after June 1st unless by prior arrangement with the organisers. The registration form includes a release of liability in case of harm to the surfer and a photo release allowing ABA, Nomad, Riptide and their agents to use the image or video of the winners and their names and likenesses in future advertising and promotion of the Awards. Acceptance of registration is at the sole discretion of the Awards co-ordinator, and registration may be refused or cancelled at any time. If you’ve ridden a wave you believe is worthy of entry in any or all Awards divisions, you should inform the Awards team of this ride or rides, along with all significant facts: name and contact details of photographer and/or videographer, account of the session’s details, any witnesses, and so forth. Details of how and who to contact can be found at the end of these Terms and Conditions, in each registered surfer’s registration package, and on the official Awards website. You may then officially enter the ride by submitting a ride entry form along with any available photographic and/or video evidence of the ride. Ride entry forms are downloadable from the official Awards website. You must select the Award or Awards for which you’re entering the ride, or the ride may not be accepted for entry. For an entry to be accepted, the original completed and signed ride entry form along with the supporting evidence must be delivered by secure means to Michael Jennings, ABA / Nomad Big Wave Awards at the email address listed below. Digital images should be forwarded to Michael, or Awards Co-ordinator Nick Chandler, at the e-addresses below. There is no limit to the number of entries that may be made by any individual surfer during the Awards season, although each ride must be entered separately, and marked as such on the ride entry form/s involved. Images – whether still or video – are of prime importance in the judging of these Awards. They provide the only dependable evidence of a ride having taken place, and of the wave size and intensity and rider skill involved. No ride can be accepted for entry in the awards without such evidence; no eyewitness ac­counts, weather reports, or personal anecdotes can be taken in lieu, although they may supplement the primary evidence of the image/s. For a photo, sequence or video to be considered for the Awards, the surfer depicted in the image/s or video must make an official Award entry for the ride. Any photographer or videographer who captures images of an entered ride is free to enter his or her images of that ride. The images and/or video which best demonstrates the wave height, intensity, and rider skill level of an Award-winning ride will be judged the winner of a Shooter Award. Both video and photos will be considered equally. Only original digital still images, original transparencies, tapes, and film can be considered. All qualifying images will be considered on their merits. Video should be submitted as shot in its original digital format. 16mm film footage can be submitted as a digital copy of the original, but the original should be available for viewing by the final judging panel if deemed necessary during judging of the Awards. Image quality is vital to the success of a rider’s and photographer’s entry. If the rider’s and wave’s true height, and the rider’s success in making the initial drop and turn, cannot be clearly estimated and compared from the entered images, the entry may be refused. At the least, it will run the risk of suffering in comparison with clearer, more effectively recorded images. To enter an image or images or video, a photographer must fill out an official ride entry form for each recorded ride. Official ride entry forms are available online at the Awards website. The original completed and signed ride entry form along with the digital images or videotapes must be delivered by email/dropbox/wetransfer to Michael Jennings, ABA Nomad Big Wave Awards Images. ABA and/or their agents are not responsible for dam­age to or loss of entries during transit. Each entry must be made freely available for a one-time promotional release to media outlets on a non-commercial basis. Usage will be limited to within seven days of the release of the image/s and/or footage. All Finalist entries (see Finalists in Judging, below) must be available for a second similar release prior to the presentation of the Awards. Winning entries in all divisions must be available for ongoing similar non-commercial usage in promoting the Awards for a period of one year from the date of the Awards presentation. Any further use of any entry image or footage not included in these terms and conditions will be negotiated at the time as needed. There is no limit to the number of images a photographer may enter into consideration for the Awards. Judging of the Awards will occur as soon as practically possible after the close of the Awards season. Judging will be made out of a total of 100 points. Within the 100 points there are sub categories; this allows us to put tow and paddle surfing against each other to create the fairest and all rounded competition. Will be judged whether the wave had been paddled in or towed. If you tow a wave you get 0 points, If you paddle a wave you get 10 points. The following 10 points will be judged on how deep you are in the barrel. The above category can alter the amount of points you can score here. If you tow a wave you get nothing for that section, however it may allow you to be able to achieve a larger score in this section. So you may get a 0 score for towing in the first criteria, but you could then get a 10 in this part by enabling you to be able to get deeper than if you paddled. The following 10 points will be judged by size of the wave – minimum 10 feet as stated above. 10 Points: Commitment and control. Judged on how much control you have while riding the wave. You could be scraping to just make the wave or drawing a perfect line and travelling through. 10 Points: Moves and progression. Judged on whether the rider can push the sport and be able to spin into the barrel, or do a move on the way out of the barrel or at a bowl. 10 Points: Make or wipeout. Judged on whether the rider makes or wipes out on the wave. Judged on consequence of the wave, this call also be judged by the location of the wave or risk involved of getting there. This can even out the playing field as some waves aren’t paddleable or accessible. This will be about the overall wave. This is judges’ own discretion of how the wave impressed them. Throughout all entries, safety – ie., a safe and successful outcome of the ride, without damage to surfer or others – will be taken into account. Entry cards will be sent out to nominated judges to be completed. As you will see there is a comments category on the scorecard. When all judging cards are handed back they will then be reviewed by our head judge. If there seems to be an unusual score or the judges feel the card isn’t fair according to the wave, then the person who has filled out the card will then need to explain their scoring to make sure that all judging is fair and legitimate. In October all riders that have been involved will be contacted to submit a list of 15 people whom they think are the most qualified and fair to judge this year’s entries. Then the judging cards will be sent out and all clips be made available for their viewing and a winner will be selected. The Awards winners will be announced, and the Awards will be presented, during the Australian Bodyboarding Awards presentation night to be held within reasonable time of the end of the Awards waiting period. Until then, the winners’ names will be kept confidential. Full voting results will be released on the official Awards website the day after the presentations are made. 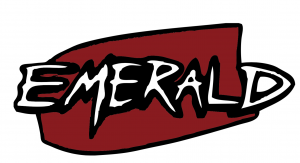 These Awards are intended to honour expert surfing skill and the adventurous surfing spirit, and should not be regarded as a temptation for reckless displays of bravado. Contestants are expected to demonstrate the high levels of ocean awareness and dedication to safety that has defined the top practitioners of big wave surfing around the world in recent years. Users of PWCs must hold valid licences and operate within all legal limits in their coastal regions. If an entered ride results in provable excessive danger or any injury to the surfer or to others associated with the ride, including tow-in partner, photographer, or other third party, or in any illegal activity whatsoever, the ride will not be considered for any Award. KEEP IT REAL Since the Awards are judged primarily on photographic images, the possibility of computer image fakery must be considered. In order to eliminate the chance of a fake or enhanced ride being included in the judging process, all still images will be closely examined for authenticity. Any rides taking place at obscure or remote locations where few witnesses can be found, or unaccompanied by video footage, will be subject to special scrutiny. Anyone found to have deliberately entered these Awards with fraudulent intentions will be barred from further entry to the Awards and may be subject to prosecution. 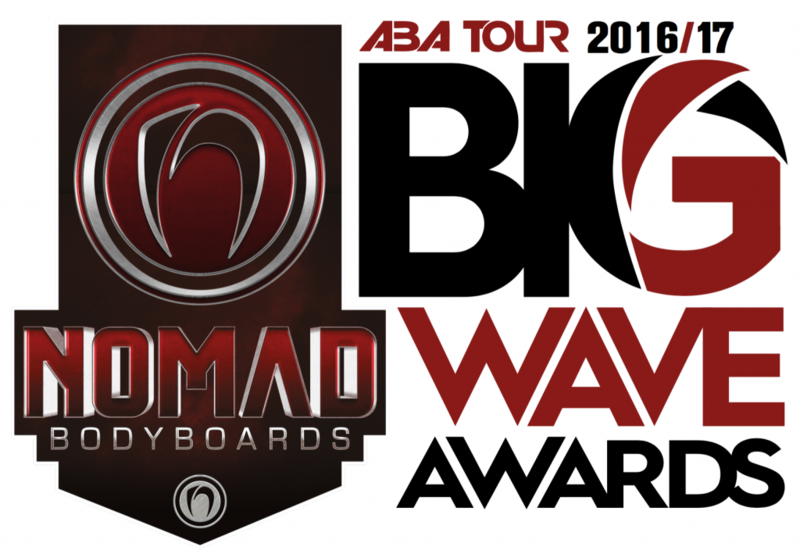 Employees of ABA, Nomad (other than its team riders), Riptide, its agents, affiliates, and those otherwise involved in the judging, production and develop­ment of the Awards, and members of their immediate families, are not eligible for consideration for the ABA / Nomad Big Wave Awards. Nomad, Riptide and the Award officials reserve the right to cancel, suspend or modify the Awards as may be appropriate given any situation that may arise during the Awards season or the judging of these Awards. RELEASE By participating in these Awards, entrants agree to release ABA, Nomad, Riptide and their respective subsidiaries, agents, affiliates, dealers, dealer repre­sentatives, advertising, promotion and production agencies harmless from any and all losses, damages, rights, claims, costs or expenses, and actions of any kind in connection with the ABA / Nomad Big Wave Awards, including without limitation property damages, harm, personal injury and/or death, arising out of participation in the Awards.